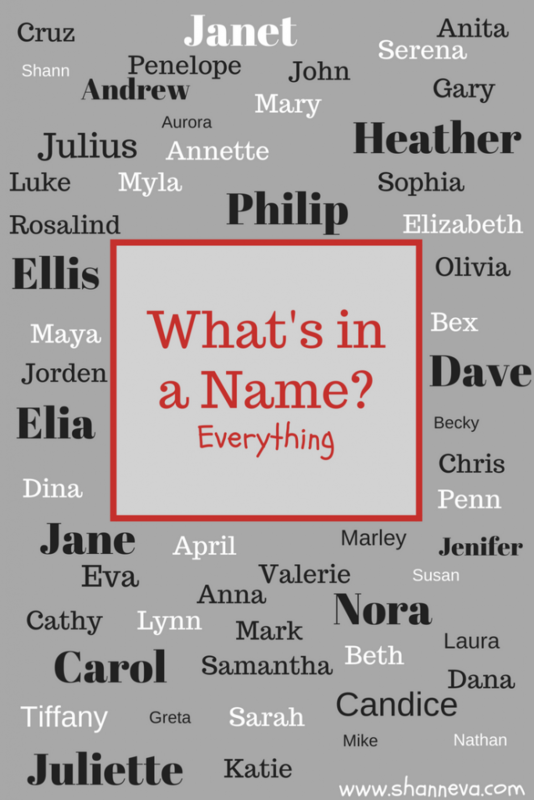 You are here: Home / Blog / What’s in a Name? Everything. When my twins came at 25 weeks, 5 days, a name was the last thing on my mind. I was so concerned with their health during the pregnancy, I didn’t take the time to do many of the things expectant mothers do. No baby shower, no bump pictures, and no name books. However, even though it took a couple of weeks after their birth, I think we still came up with the perfect names. I remember the hospital was pretty impatient and wanted those names before I was discharged. But, I just couldn’t make a decision, and neither could my husband. It seemed so important that we get the right names. Something strong, yet meaningful. Something that would help them fight, and a name we could use when we prayed for them. Eventually, we each decided that we would name a twin. I named Little P, with his name coming from a woman who supported me my entire pregnancy. His middle name is tribute to the Doctor that saved us all. My husband named Big C. He named him after a place that he loved, with his middle name after an artist whose song got us through the pregnancy. Penn (after Penelope) Julius (after Dr. Julian De Lia) and Cruz (after Cruz Bay) Marley (after Bob Marley) were the names we agreed upon. They seemed to fit each baby, and they just felt right. Today’s family also came up with a special name for their preemie. It’s a beautiful name with such a wonderful meaning behind it. I’m so happy to introduce you to Shara Hope, as told by her mom, Rosanna. 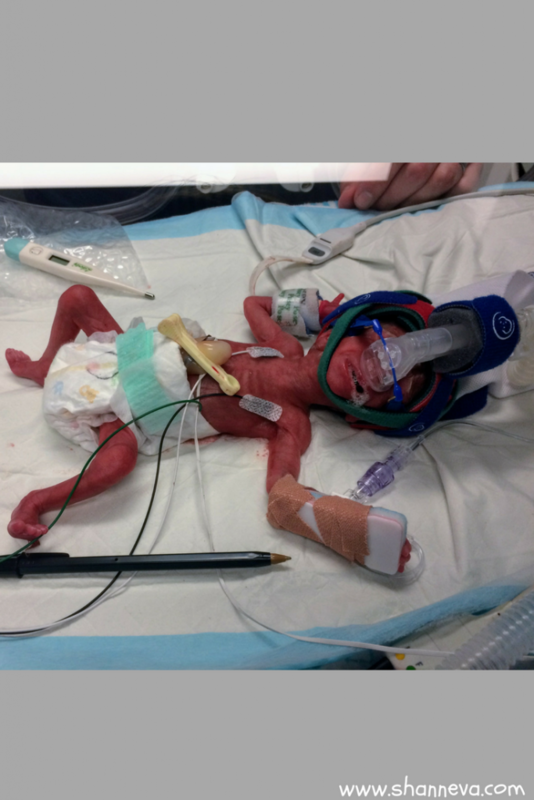 Shara Hope was born at 26+2 weeks weighing 529 grams. She was still in her sac, and once everything was all cleared away, we heard a tiny, strong cry. Shara means ‘she who sings’- we didn’t know if she would be breathing or not, so that little cry was the most beautiful song in the world to us. 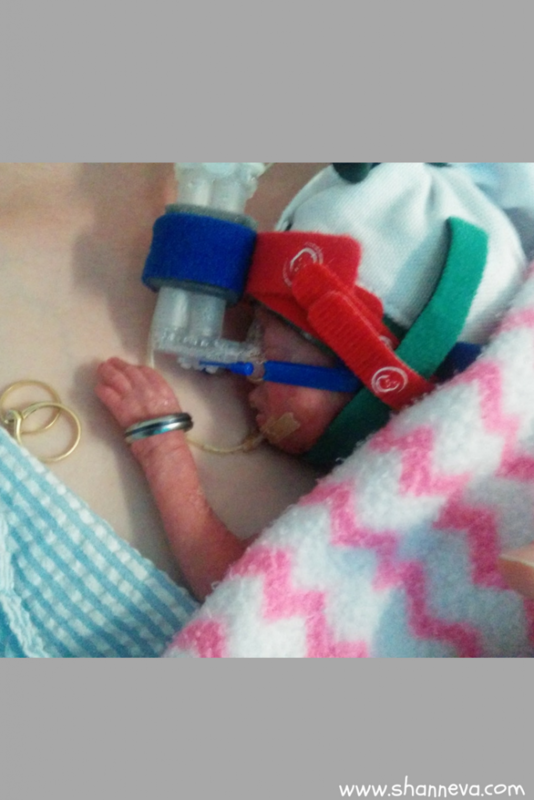 Shara spent 115 days in NICU. For such a tiny girl, she had a very strong personality. A lot of nurses would tell me how feisty our daughter was! She had a fairly smooth journey, and was mostly just waiting to come off oxygen. She came off at 42 weeks, just a week before discharge the doctors thought she would come home on oxygen, but she did things in her own time, as usual! This was my first pregnancy, so I didn’t really know what to expect, but the first trimester was pretty smooth with no morning sickness. 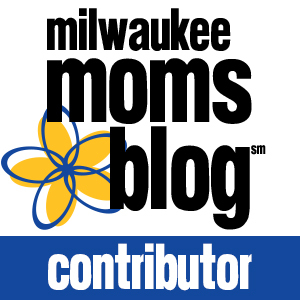 The nausea started in the second trimester and continued until my daughter was born. I was also put on aspirin and then Labetalol and monitored for high blood pressure around 15 weeks. At 25 weeks, 2 days, I went in for a blood pressure check after work on a Friday. I was diagnosed with preeclampsia and admitted that night. The next morning a thorough ultrasound showed that my baby was at least 2 weeks behind in growth and there was poor placental blood flow. From then on, it was one day at a time, with my blood pressure climbing at night and the blood flow going from intermittent to absent to reversal. Exactly a week later, I had an emergency caesarean, as a CTG scan from that day was showing continual negative spikes in the baby’s heart rate. Shara is such a smiley, cheeky girl and very, very active. She will be one next month 😮 9 months corrected. She desperately wants to sit up and go places. We are seeing PT, ST and OT through Early Intervention. 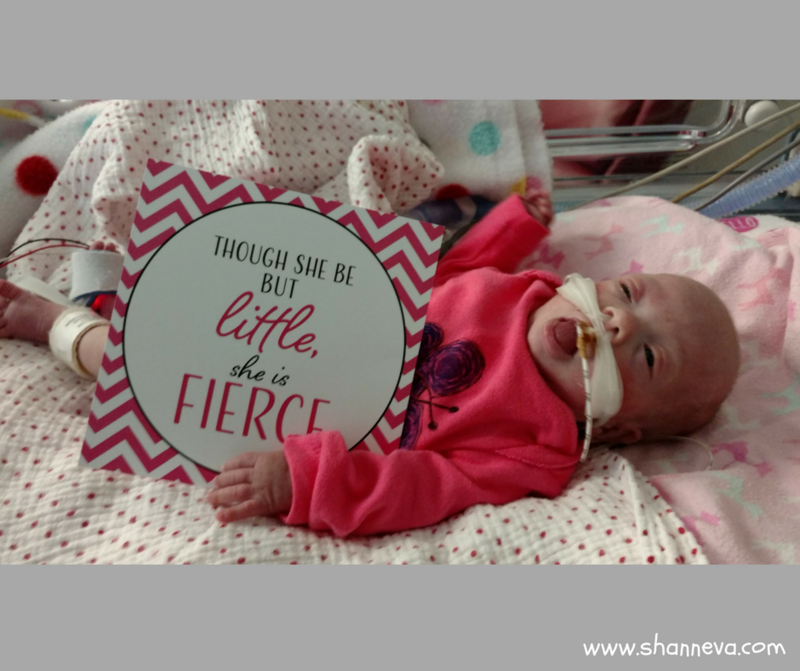 She still has a VSD, but it’s not expected to cause any issues, and she doesn’t have to see the cardiologist again for a year. The biggest thing at the moment is her slow weight gain. She weighs 5.2 kg. Her 2 month old cousin is bigger than her! We are seeing a dietitian and have tried many plans. Hopefully one will work soon. But I know that she will get there, she is just doing things in her own time. 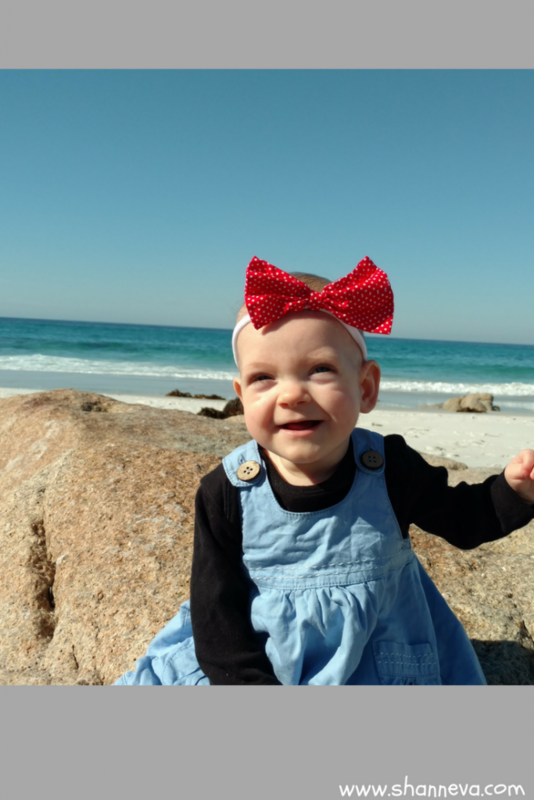 We know that many other families are on very difficult journeys, and we are so thankful that our little girl has had a relatively smooth one. It is NOT your fault! You didn’t choose for this to happen, but know this: You and your little one/s are so very brave and so very strong. Your baby will know you even amongst the crowd of nurses. They have been hearing your voice before they were born and you are the one by their side, loving them and learning their little personalities. Look after yourself. Go out for a coffee, catch up with a friend, have a massage, whatever you need to do. It is important to take breaks from the stressful, emotional NICU environment so that you can be at your strongest for your baby/babies. 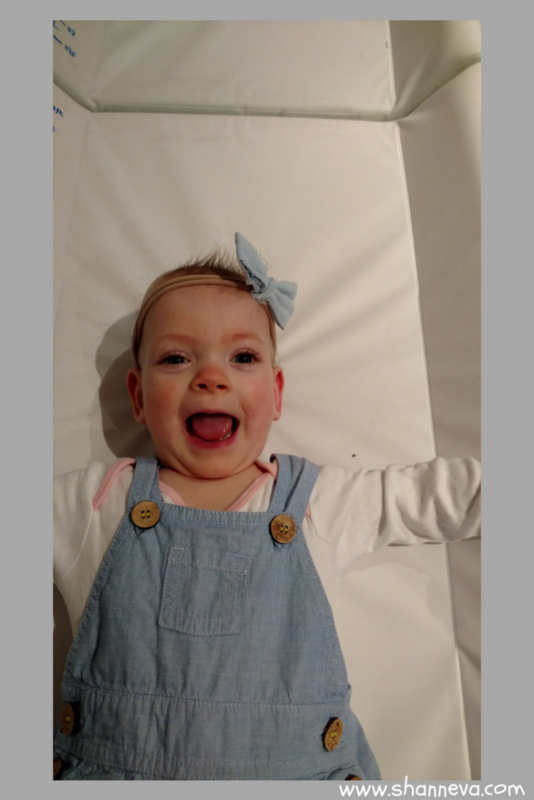 Thank you so much to Rosanna for sharing sweet Shara Hope with us. Her name is just as beautiful as she is. Please leave any supportive comments or questions below.